Put all ingredients, except sour cream and salsa in a freezer bag and freeze. Defrost the day before in refrigerator. Half hour before serving, shred the chicken and mix in with juices. Serve on tortilla shells or rice. Top with salsa and sour cream. I love the fact that this is a freezer meal and so easy to make up. It takes minutes to make several of these crockpot meals. 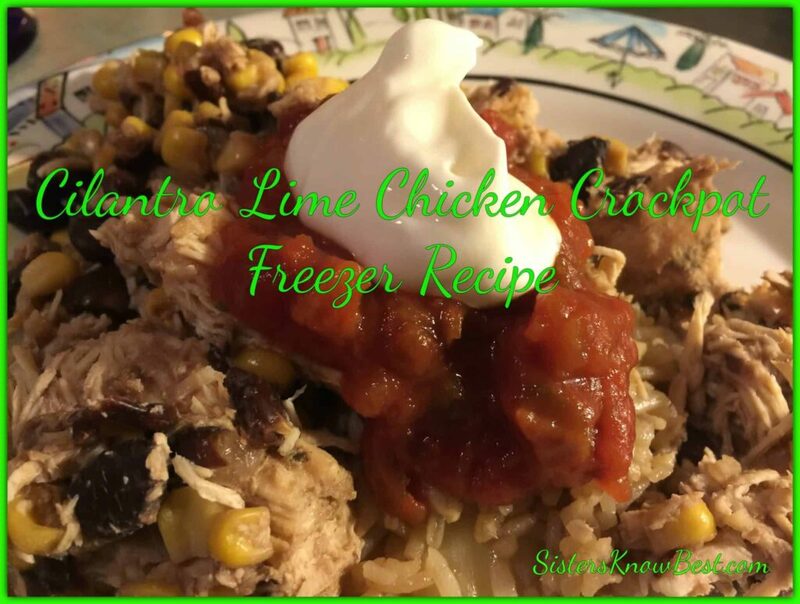 If you haven’t yet, be sure to check out the rest of our Crockpot Freezer Meal Recipes. You’re welcome Patti! 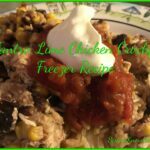 I had the leftovers just as is with sour cream and salsa, no rice. It was even better! Next time I’m making several of these. Enjoy!